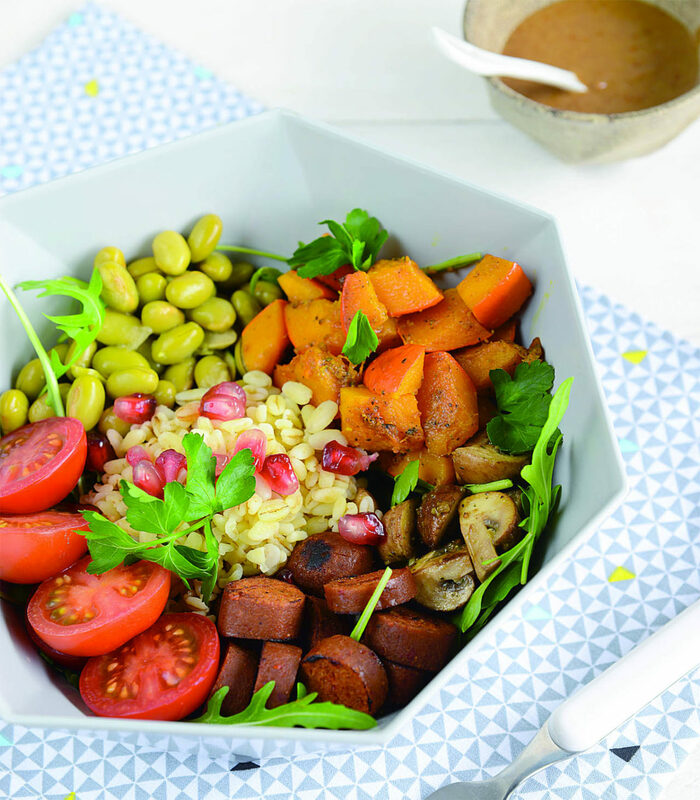 “Buddha bowl” is a large bowl that includes an entire meal. This trend is especially popular in the US and is now becoming more and more popular in Europe. Dissolve the vegetable stock in a large pot of water. Cook the spelt in the pot according to the instructions given. Cut the pumpkin into cubes and lightly fry them in a pan with olive oil. Stir regularly. Once the pumpkin cubes have a slight tan, season with salt, pepper and curry powder. Add a glas of water after about ten minutes, let the food boil down until the cubes are nice and soft. Slice the tomatoes in half, pour the edamame into a sieve and let it drain after washing them. Remove the seeds from the pomegranate. Cut the mushrooms into quarters and lightly fry in a hot pan with some olive oil, salt and pepper until they have a nice tan. 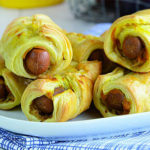 Cut the Chorizo Bratwurst into slices (about 1 cm thick) and fry these in a hot pan with some oil. Prepare the sauce by mixing all the ingredients for the sauce together. Serve in a bowl and garnish with the sauce.